In this tutorial I will show you how to disassemble and replace a broken LCD screen on HP G60 and G61 Laptop Notebooks. The HP G60 and G61 come with 15.6 inch widescreens depending on the one you are working on. 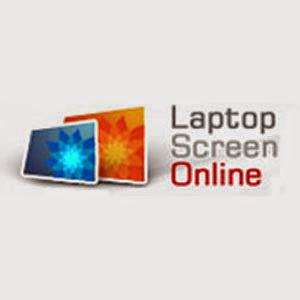 This replacement instruction is brought to you by Laptop Screen Online, leading supplier of replacement laptop screens in Europe. This replacement tutorial can be used for, but not limited to the following HP laptop series; Hp G60-214EM, G60-213EM, G60-100EM, G60-215, G60-120EM, G60-114EA, G60-100EM, G60-119EM, Hp G61-110SA, G61-401SA and G61-415SA notebook sereis. The very first thing is to remove the battery from the laptop before starting the replacement. Removing the battery is a good practice as failure to do so may cause the laptop to malfunction after the job. With a flat screwdriver remove the screwcover from the two screws in the lower sides of the laptop and keep them safely. By placing your screwdriver furmly as shown in the image on the right remove the two screws on the lowers sides of the laptop. The bezel screws of HP G60 and G61 laptops are quite hidden away near the hinges area and because of this some people may find it hard to unscrew them. The best tip is to place the screwdriver slightly vertical, push down hard and then unscrew. This method has always worked for me. Put your fingers between the plastic bezel and the laptop screen and pull the bezel on all sides to release it from the catches. You can also use flat objects to successfully carry this out. This must be done carefully to avoid snapping the bezel. Also do this at the lower bezel area. The laptop hinges are in the plastic bezel as in the image on the left. By pulling the bezel up towards releases it from the laptop. Removing the laptop bezel exposes the screen itself. With the aid of a precision screwdriver remove the screws at the top parts of the screen and keep them seperately. Most of the Hp G60 and the G61 come with camera module at the top. During this replacement disconnect the camera connection as in the image as remember to put it back when installing the new screen. By pulling the laptop screen towards you remove the side screws and keep them seperate. After removing the side screws place the screen face-down on the keyboard area and you will see the screen cable connected to the back of the LCD screen. The connection is held together with a clear tape. This tape must first be peeled up before disconnectiong the cable. Next is to disconnect the screen inverter cable. This cable carries power to the backlight of the screen. If during installation and you did not connect the cable into the inverter the screen will work but will lack any backlight. So watch out for this. Make sure you connect the cable of the new screen into the inverter during installation. At this point the screen removal process is complete. To reinstall a new Hp G60 Screen or Hp G61 Screen simply carry out the process in reverse order. Please note that sometimes the Hp G61 notebooks come with LED screen. If your laptop comes with 15.6 LED widescreen it will only one connection at the bottom left or bottom right side. If you are not comfortable with this replacement I suggest considering a laptop screen repair service or take the laptop to your nearest laptop repair shop and have them fit the screen for you.